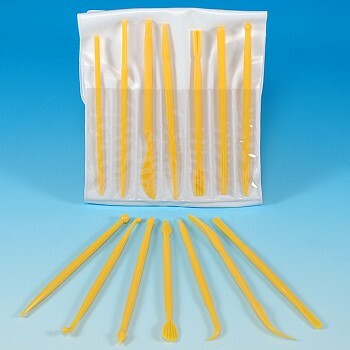 Precision set of 14 unique tools, a complete sculpting tool set for ultra-fine detailing of rolled fondant, marzipan, gum paste, modeling paste and modeling chocolate. Each of the 14 tools are double sided for a total of 28 individual tool patterns. 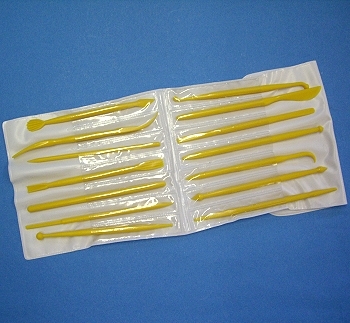 Length 4 1/2", width 1/4"
Made of plastic with folding organizer.